This is the sixth post in our series about “un-study techniques” for use in wine and spirits studies. Click here to view our other posts on un-study techniques. 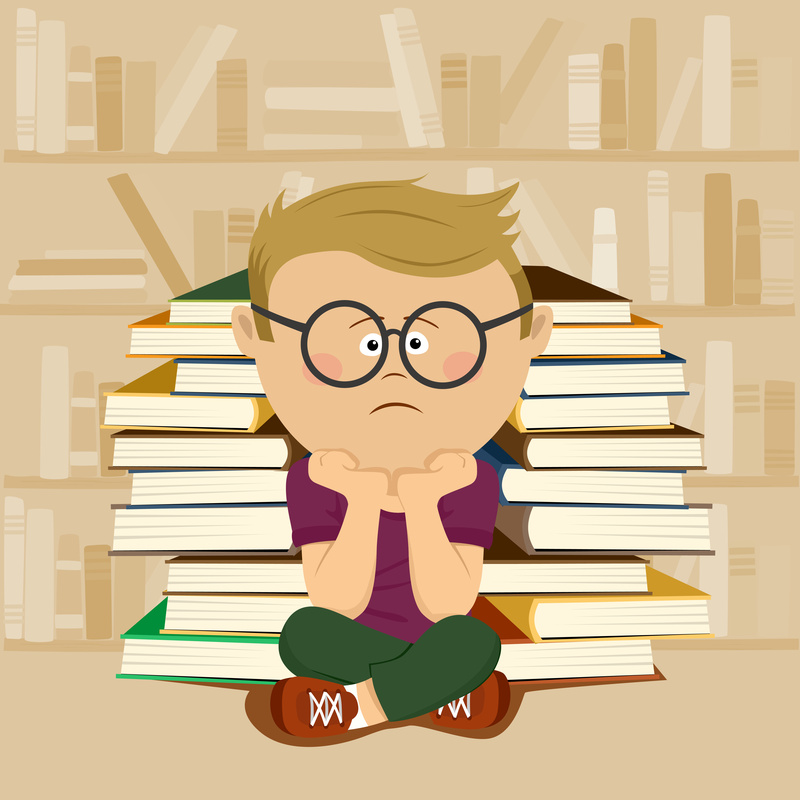 Un-study techniques are all about what to do when you need to study…but you just can’t stand the thought of studying. You feel burned out, unmotivated, and like your brain can’t handle one more AOC, DOP, obscure grape variety, aging requirement, or other factoid. It happens to the best of us! The next time you really need to study but you just can’t stand another book, handout, or flashcard…how about a scavenger hunt? Surely that sounds ok! For just such an occasion, we’ve designed the “Wine (or Spirits) Map Scavenger Hunt” activity. This activity requires the use of the Google Maps search (“get directions”) function and should take between 30 and 45 minutes to complete (unless you choose to go down a photo search rabbit hole—but that’s up to you). The Wine (or Spirits) Map Scavenger Hunt activity will help you engage with and understand some of the regions/places/appellations on your wine and spirits maps (as opposed to just “memorizing” them—which gets exhausting). To go on a wine or spirits map scavenger hunt, the first thing you need to do is to pick the region you want to study. We have four scavenger hunts ready to go: Argentina, Bordeaux’s Left Bank, Napa County, and Scotch Whisky (these resources are found below). Next, you need to download a wine or spirits map of the location you have chosen and print up the scavenger hunt location list. Using the wine or spirits map as a key, trace or draw a rough “blank map” of the region. We’ll be plotting our locations on the blank map as we go. Then, fire up your internet connection and access Google Maps. Choose one item from the location list and allow the miracle of Google Maps to take you there. Look around a bit and make sure you are in the right place. You might want to click on some of the pictures, zoom out and use the satellite function to check out the terrain (if you are hunting in a wine region the vineyards are likely to be of interest), or zero in on your location and see what you can learn. Mark the location on the blank map you’ve drawn and make sure to note the name of the location and the region (appellation). Next, click on the icon for “directions” and type in the location that you think is closest to the first location (you can go in any order on the location list page—the list is randomized). You might want to choose the directions for walking, but it is probably best to choose driving directions. Once you’ve landed on the new location look around a bit (like you did before). Once you’ve satisfied your curiosity, plot the new location on your blank map (the paper-and-pencil version). Continue using Google Maps to plot your locations. As you find them, re-arrange the items in the list of driving or walking directions so that you are plotting the most efficient way to navigate through the region whilst visiting each of your locations—this will help you learn distances between regions as well as the east/west/north/south orientation of your chosen spot. When you are done you should have a nice record of your virtual trip through the region. You can use the scavenger hunts we’ve posted below, or you can make your own. 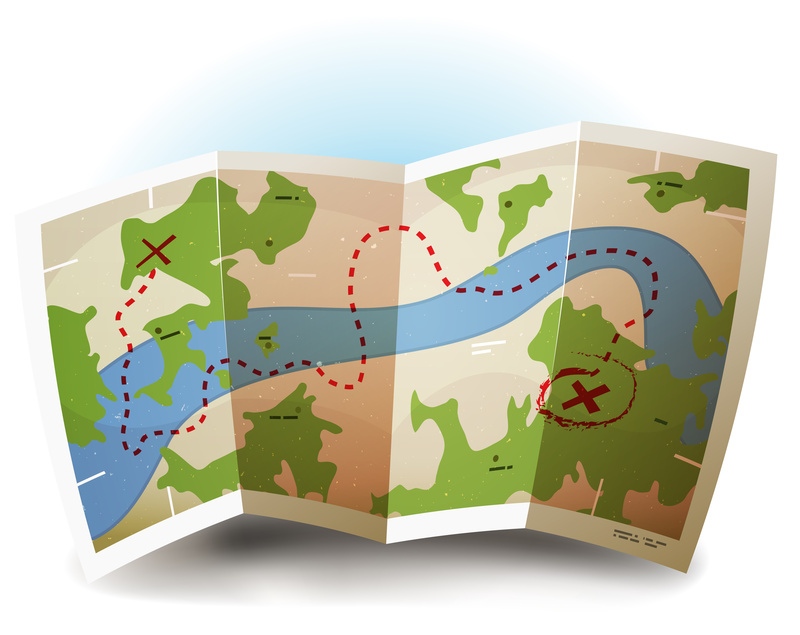 To make your own scavenger hunt, start with the wine or spirits map of your choice, draw or trace it in order to create a blank map, and then search one interesting spot in each area you want to explore. Use whatever type of establishment (winery, vineyard, distillery, historical site, restaurant/bar/wine bar, etc.) that will hold your interest and increase your understanding of the area. As you find your spots, use the Google Maps “directions” tool to map your course! Be sure to “log” each of your finds onto the paper-and-pencil map you made. After all…we do want to make this as (painlessly) educational as possible! 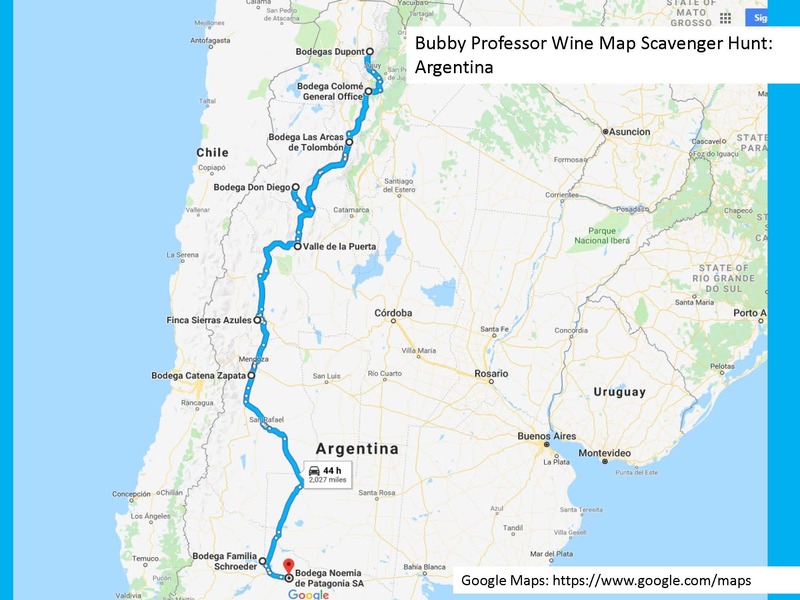 Wow, 44 hours to drive those wineries in Argentina! And probably a few mountains to climb!!! Thank you! I’ve been struggling to study lately and this is great.